Malaysia Airlines Flight 370 Was a Terrorist Mass Suicide Act! – Dr. Turi M.D.U.S. Malaysia Airlines Flight 370 Was a Terrorist Mass Suicide Act! Important Note to the public: Remote Viewing Flight 370 cockpit, the real story! My Internet enemies hijacked all the articles, predictions, warnings, metaphysical, cosmic secrets and natural healing teachings I wrote from my website www.drturi.com since August 2013. This forced me to change and now use the TOP server protection available but all the links (and articles) are gone. This episode muted me since my last March 10, 2014 “SOS to the world” preparing my reading audience for a “new beginning ending” (Vladimir Putin / Ukraine – Flight 370?) but luckily for you, a few of my latest articles are still available from BIN website. Sad enough the world is not yet aware of my latest “cosmic” discovery which could serve the astrological community with the utmost accurate information ever disclosed by the old science. This is only the result of my lifetime independent research on the cosmic code jurisdictions finding its undeniable accuracy in the old science of Astropsychology. If the scientific community was to honor the word investigation, soon the indisputable results would astonish everyone of them. Once more, all the explanations involving the dynamics of a ” Personal Cosmic Biorhythms” are now available to the new reader and only those who ordered this service can attest its accuracy. All the dramatic news always involve a date and all participants own a DOB which allows me to investigate their Personal Unique Celestial Identities and from there, detect their Personal Cosmic Biorhythms. In ALL cases, the perpetrators are undergoing deep psychological changes that make them behave in total irrational ways. I am in a position to use my modified software for each dramatic news development and each time its a direct hit. But what good my ingeniousness do to society when, my students and I are the only ones realizing the importance of these radical “mental” episodes and the seriousness, often deadly impact it produces upon the human psyche? Indeed human are only robots of their inherited stars and act upon their subtle pulls robotically, neurotically and subconsciously. Imagine the wealth of information neuroscience, police detectives and forensics would benefit from if, they could cast aside their fear of the ridicule and investigate the cosmic code jurisdictions instead of laughing at its obviousness? Simply priceless but not everyone is willing to let me expose all the Illuminati cosmic secrets and up a sudden all my work disappear? The worse scenario possible… Imagine for a second if the “stolen” plane landed in one of the many US enemy countries? Then loaded with an arsenal of nukes then flown back to the US to drop its deadly loads over a few of our largest cities? Now that I have the pilots full DOB’s I can for sure tell you what was going on in the older pilot Zaharie Ahmad Shah mind! First he own a dual dragon or a mixture of Pisces (oceans/drugs/religions) and Aquarius (aeronautics/technology/flying/nukes/explosions) Dragon’s Tail – Indeed a true born Neptunian and those souls will never hesitate to put their religion before any human life. Neptunian are also prone to lead a mass suicide due to legal/illegal drugs sale involvement, used or abused secretively. 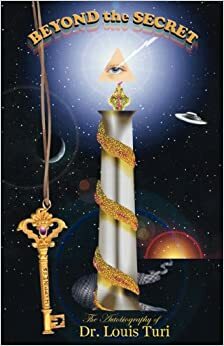 But to avoid confusion I will only concentrate on his natal Aquarius Dragon’s Tail in all my explanations… You may read more the cosmic dragon here. The last New Moon in Pisces reflects not only the same cosmic auspices that produced the 911 terrorist attacks on the twin towers in N.Y. but enunciate also Zaharie Ahmad Shah’s worse negative cosmic biorhythms for 2014. As you know life is a constant process of the same very changes and this is why I also predicted to the day the embassy attack in Benghazi! Sad enough many links o and the unarguable proof of predictions are now gone but my oldest VIP’s can attest any of my claims. Sad enough I also wrote and warn about electing a President that own a negative Aquarius Dragon’s Tail making the US extremely prone to nuke and cyber attacks and again those links leading to those articles are now gone. Only if you become a VIP will you be able to read ALL those articles from the very safe Ning cosmic code website. The statement, by Deputy Foreign Minister Sergei Ryabkov, appeared to be the most serious threat of reprisal by Moscow for Western sanctions against Russia over its annexation of Ukraine’s Crimea region. Russia is key to attempts to coax Iran into significant long-term curbs of its nuclear program in exchange for relief from U.N. and other sanctions. Iran insists it does not want nuclear arms but is seeking a deal that will result in full sanctions relief. The Russian threat, hours after the latest negotiating round ended, appeared to catch Washington off guard. First and foremost, all the traditionally educated elites of the FAA are responsible for demise of all the victims of flight 370 for allowing such a person to ever fly an airplane. The karmic tail of the Dragon in the shocking, unpredictable, explosive sign of Aquarius is right in Zaharie Ahmad Shah’s 8th house of death. This fact becomes the supreme RED light only my cosmic conscious students can detect and appreciate in my cosmic teachings and baffle all immature rational born “young souls”. Offering the option to become a pilot with such a natal UCI is like giving a live grenade to a child to play with! Is it not a matter of IF but WHEN the pilot will die in an air crash or misuse airline for drugs or terrorist deadly purposes. In this case a terrorist mass suicide! Again there is NO way for the FAA and 99.99% of the world’s population to yet comprehend the supremely advanced thinking process of any human being 50 years from today! And a lot will change by then when humanity will finally acknowledge its direct relationship with a new God Cosmic Consciousness. Indeed the spirit of Hitler is becoming more obvious since I wrote those predictions back June 12, 2013! Hillary Clinton compares Vladimir Putin’s actions in Ukraine to Adolf Hitler’s in Nazi Germany. But little does the Secretary of State knows of her own birth right and what the cosmic code has in store for her future. Dr. Turi’s Predictions and Why Hillary Clinton Won’t Run! Looks like my predictions keep unfolding, from Dr. Turi 2014 – 2016 Arian Draconis Universal Predictions published June 12, 2013. Prediction #14 – Hilary Clinton/Bill Clinton; Hilary will suffer another health ailment (April/October/November/May) and this may cost her life. Remember she shares much of the same karmic UCI as actor Bruce Lee and we all know of his sudden death. This Dragon may also take her husband because of heart complications. ALL SOULS BORN IN OCTOBER AND APRIL ARE THE TARGET OF THE DRAGON AND MANY WILL BE FORCED TO A FULL PARTNERSHIP RESTRUCTURE. Sad enough he had no warning nor awareness of the Arian Draconis impact upon his life nor the option to purchase my book 2014 Nostradamus Dragon Forecast. Indeed knowledge is power, ignorance is evil! Fariq owns a Dragon’s Tail (negative) in Libra (partners) is currently cursing his 7th house of partnerships (his co-pilot). Born with a steady moon in Taurus (solidity/security/home) his natal UCI do not dictate any connection nor drive to participate with Zaharie Ahmad Shah’s aims or beliefs. NEW MOON — March 1, 2014 in Pisces: With the new Head of the Dragon in the sign of Libra, more people will be attracted to uncover the laws of the universe. And with Uranus in Aries more people will be interested in finding out more about themselves. Disturbing news about religious fanatics, abortion or oil is ahead while the weather will be nasty over land and the ocean. Many diplomats will be active on the political front, trying to avoid proliferation of religious wars in different parts of the world. While Mars is in Libra fuelling acts of destruction in transportation trouble and death is the aim of every terrorist but there will be much more of a strong desire to reach balance and harmony in all areas of the human experience. Prominent politicians of the Middle East run the risk of assassination and some unlucky souls will not survive this dangerous trend. Expect progressive news involving science, chemical research. Meanwhile, it is a sure sign that drastic change is in store for parts of the Middle East and Asia. Nature and the weather could also turn out particularly difficult and may sink ships, produce devastating oil spills and flooding. Indeed I predicted the 911 and so much more in the past! Could I be wrong in this one when the stars were doing the same dance of evil? My book “Beyond The Secret” should be read by all young French people, and with it the courage to face their new future would become stronger by following my footsteps! From Hell to Heaven and the American dream became a reality for Dr. Turi and I am so sorry for the young French generation! But where there is dreams there is hopes and God will always reward and protect those who take chances in life. Incredible experiences breed incredible people that have incredible wisdom to share! Beyond the Secret is the fascinating autobiography of Dr. Louis Turi. It recounts his unusual life starting at birth in the Provence region of France, to his life in England and America. His experiences range from tragic to euphoric, mundane and miraculous, all of which have given him great compassion for his fellow humans. He explains metaphysical principles that apply to the different chapters of his life. There is much more in this life than the Law of Attraction. Other laws include metaphysical and cosmological aspects. It is an engaging read you will not be able to set down. Deeply moving account of a difficult life in France as a post war baby; more successful in England & the USA. A moving account of the hardships endured during post W.W. II, which helped the author develop a steel spine combined with compassion, while growing up in France. England, too, was a challenge, yet rewarding via humble employment and his graduation from the Royal School of Music. His success in America speaks for itself as he continues his goal of enlightening his readers with astrological information and the reasons behind the data. Previous post: gregg prescott admin@in5d.com Confronting Humility? Next post: Dr. Sanjay Gupta First Legal US Drug Lord?